A Luxury Party Experience for Mini VIPs! 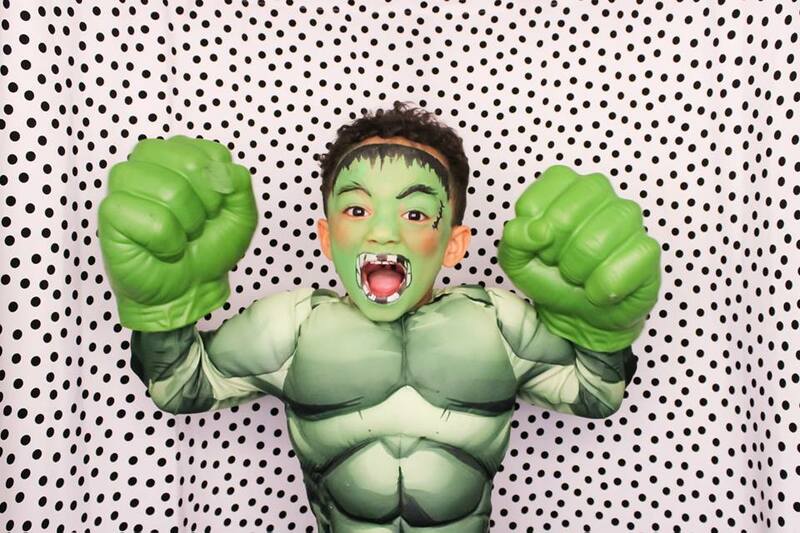 Hire a Snapcandy kids booth for your special event and let their imagination run wild in front of the camera with a fantastic array of props and unlimited photos! Our kids photo booth hire is a child-sized photo booth experience which will make you childs party stand out and be remembered! The photo booth is identical to our full sized booth, still with an easy to use touchscreen and instant printing. With our props your kids and their friends can turn into superheroes, princesses, pop stars or whatever else their little hearts desire! We’ll work with you to fit your theme and we always love a challenge. We love working alongside face-painters and other professionals too, so if you’ve arranged other entertainers to attend your child’s party just let us know! Our smaller sized booth comfortably holds up to 4 children under the age of 10* for group photos (although we’ve squeezed in a few more and even the odd grown-up too!). Luxury Kids Photo Booth hire in black. A selection of fun props. A Booth attendant. Sit back and relax, the booth attendant will help kids to use the props and the booth. Snapcandy USB with all images for easy printing and sharing. Delivery, set up & take down within 25 miles of DE1 (travel charges may apply outside of this area). Custom booth – Do you have a special message or colour scheme you want to display on the outside of the booth? Talk to us about making your child’s photo booth extra special. Themed props – Is your child crazy about superheroes, sports, pop stars or a TV character? Ask us about customising your childs prop selection to suit your party theme! *Min age requirement is 6 years due to the fixed height of the SLR. “Such a different and special thing to do for a child’s party. It’s so hard to think of a theme/entertainment that hasn’t been done before and having the Photo Booth added another dimension to the party. I have all the photos on USB and each of my sons friends went away with 4 mini photos, or more depending on how many times they went in! I would highly recommend to everyone and would definitely use Snapcandy Photo Booths again. Chloe and Shaun were fun, professional and great getting the children involved!